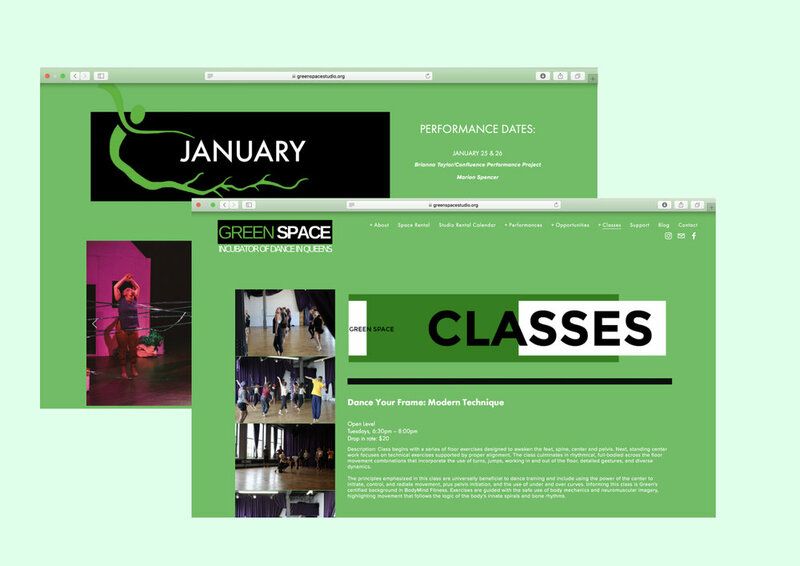 Green Space is a spacious 1800 square-foot studio and performance venue that acts as an incubator: a place for dancers, choreographers, teachers, and community members alike to gather and experience dance where it’s created. It is located in Long Island City, Queens among the greater NYC dance community. I was asked to do a full redesign of their old site. 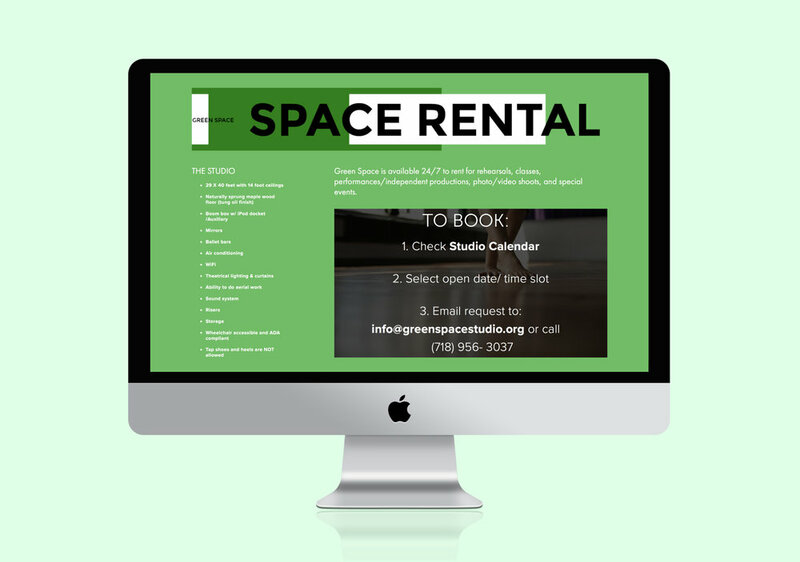 The new site needed to be fresh, exciting and create a revived image of the studio space and showcase its rental capabilities. 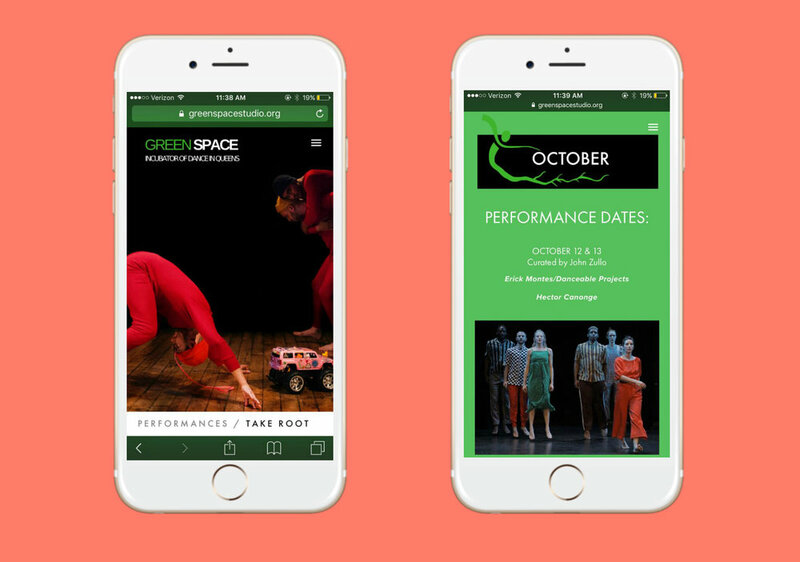 The site was built using Squarespace.